American Jason Spindler, who was killed in the terror attack in Kenya, has ties to New York -- he was an NYU graduate and survived 9/11. Adam Kuperstein reports. An American investment adviser and NYU School of Law graduate survived one terror attack only to tragically die in another. 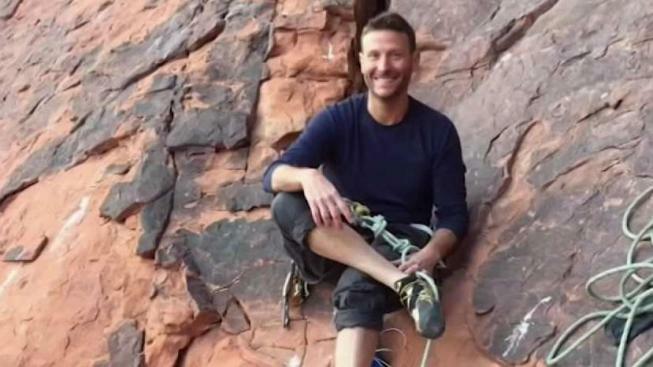 A mother and father in Texas are shattered after learning their son, Jason Spindler, was one of the people killed in Tuesday's terror attack in Kenya. "I got a call from the embassy letting us know that he had been identified and was at the morgue," Jason's father, Joseph Spindler, said tearing up. Forty-year-old Jason Spindler was from Houston, but he went to NYU School of Law and worked at the World Trade Center where his family says he survived 9/11 — arriving at work just after the attacks. “Of course he had to take off. The next day he went down to offer some help and building seven collapsed. Right when he was there,” Jason's mother said. When terror struck this luxury hotel in Nairobi, Spindler was having lunch. He had lived in Kenya for 5 years, operating his business. "He was there to help people," Jason's father said. "He was in a country, he was trying to help, and it’s devastating that the same people he was trying to help killed him. It just doesn’t make sense." The extremist group Al-Shabab claimed responsibility for the attack. His parents say the pain of losing their son, the only American killed in the terror attack, extends far beyond their family. "He was the type of individual that when you meet him you know he was destined to change the world. He was destined to touch people," his father said.